> Amazon Natural Balance 5 kg. Amazon Natural Balance 5 kg. The Amazon Natural Balance is the healthy alternative based on berries, fruit, vegetables and nuts,which we added some seeds. 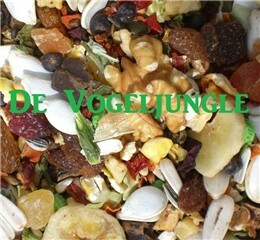 The best ingredients of Vogeljungle are responsible for this delicious food!